SOULSHINE, BALI ~ June 29 - July 6, 2019 — Pradeep Yoga. Welcome Home. Take the chance. Open your heart to the possibilities. Inspire yourself. Journey with Pradeep to the land of terraced rice paddies, sacred temples, volcanoes, beaches, and tropical forests. Our week will include daily meditation, chanting, and asana practices in Pradeep’s signature blend of Ashtanga and Bhakti styles, with healthy doses of irreverence and humor thrown in. Bali is steeped in spiritual tradition and, whether you’re new to the cushion or a seasoned meditator, this retreat will afford you the peace and time to take advantage of that nurturing culture. Each day will start with a sweaty asana and end with a delicious meal (and glass of wine, if you want!) at the open-air community dining table overlooking lush gardens of Soulshine Bali, an eco-chic resort located just outside the popular yoga mecca of Ubud. You may also simply relax by the infinity pool, stroll through and pick some fruit from Soulshine’s lush gardens, meander through the rice fields, or just enjoy the blissful escape. 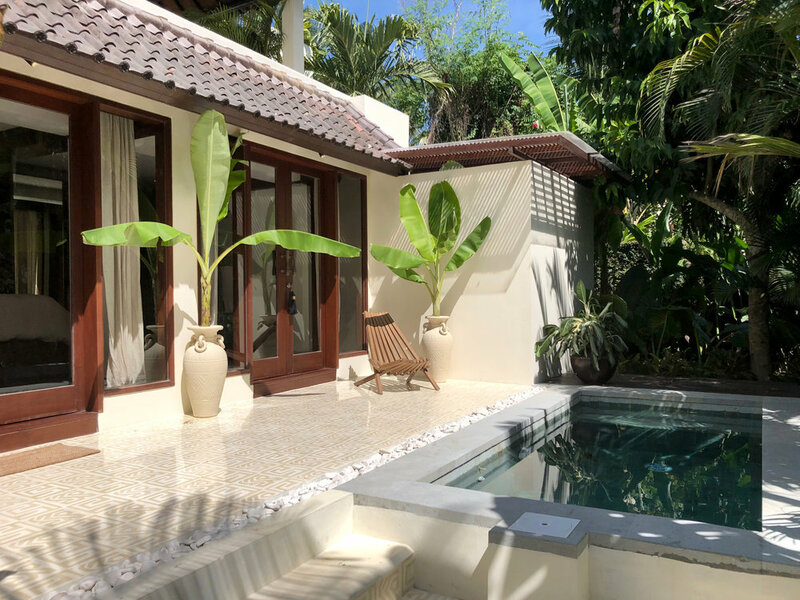 All rooms at Soulshine come with eco-chic amenities that reflect traditional Balinese architecture and design, with modern upgrades (like air conditioning) that ensure you are comfortable. All rooms vary with Double or Single Occupancy options, pricing is per person. These are ashram dorm style rooms with a designated private shower and bathroom located just outside the room. Each room is air-conditioned with built in wardrobes and desks for two people. Perfect for sharing with a travel buddy or choose the king bed option for couples. (Price is per person). These rooms has a small balcony and access to the Soulshine temple and gardens. The decor is a mix of custom carved tribal furniture and modern decor. On the console you'll find interesting reads, antique artifacts and a Marshall speaker waiting to play your favorite tunes. Enjoy a shower in the sunshine with the outdoor rain shower. (Price is per person). The intimate and tropical cozy pool room is your own luxurious hide way. A lush jungle garden is the first thing you see when waking up and the plunge pool is only a few steps away. Listen to your favorite tunes on a bluetooth Marshall speaker while having a sunny cooling rain shower. This is where your days will drift by in your personal paradise. (Price is per person).